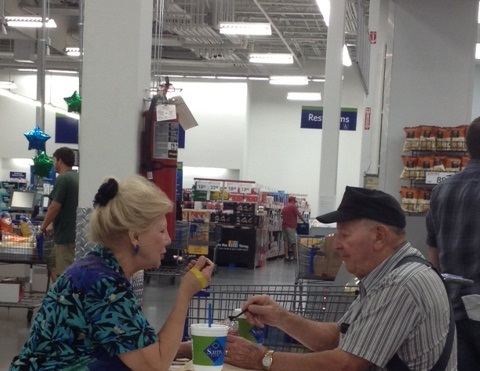 This is what appears to me to be a retired couple, sharing an ice cream. I know you are thinking “Brilliant Deduction! But is there more?” Yes! Read on. They would alternate their spoons, dipping in the same cup, visiting in between. The man’s hand would shake with the effects of aging as he put the spoon to his mouth, but during this short experience his face reflected the spring of youth. The contented look in their faces spoke volumes. Their eyes twinkled at each other. I felt the stresses of my own life dissipate as I observed this moment. I have often thought that if world leaders could sit at a table and enjoy ice cream together, certainly the anxiety would lesson and great problems could be resolved. They even have ice cream for the lactose intolerant! They have sugar free ice cream, low fat, a type of ice cream for everyone! But I digress, this isn’t a blog about ice cream, it’s a blog about taking time for what matters most. The part ice cream played in this scene is that the basic needs of humanity are so similar across the earth; and some of the greatest pleasures of humanity are also basic and shared by all. How often in our hectic world do we TAKE the time to partake of those little things (moments) that matter most? Do we often push aside the simple pleasures because we are too busy, too attached to our “devices” to get out of our captive culture, too hurried to get to our next appointment, or too busy to pause for relief from the slavery we have put ourselves under? If we took those moments it would probably not amount to ten minutes a day I bet; and yet, those ten minutes would be your best moments of our day. Taking time to be human, to look into people’s eyes, to share an ice cream or beverage, to listen to what is happening in the lives of others, to enjoy and not judge- these are some of the things that matter most. 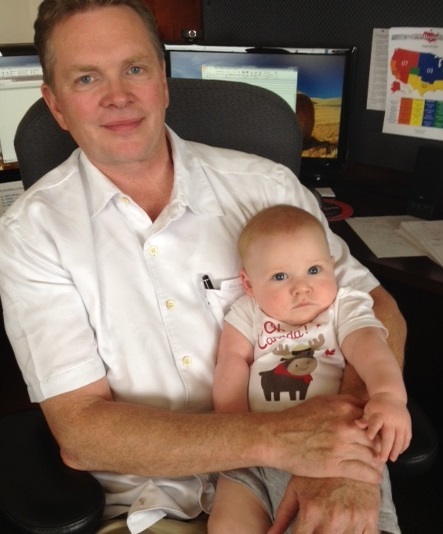 This is my newest grandson who stopped by the office for a visit. Do you think I would let business get in the way of this experience? There was a time when I was more of an idiot than I am now. There was a time when I might have thought that kids don’t belong in the office- but age and wisdom have taught me a truer principle. Let the world STOP, and enjoy the MOMENTS.